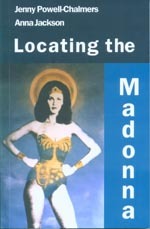 Locating the Madonna is the outcome of an experiment in collaboration and poetic influence by poets at opposite ends of the country: Powell-Chalmers in Dunedin and Jackson in Auckland. The poets decided, as Jackson says, ‘to steal from each other’, after they met a poetry festival in Brisbane. They posted poems back and forth, each responding to the voice and ideas of the other in their own work, harmonising with each other. When placed together in the collection, these poems could almost be the work of one poet. They found themselves drawn to the recurring image of the Madonna, who appears in these poems in many guises and situations. More than a religious symbol, she tramps on solid earth, she visits shopping centres and film festivals. She is at once mysterious and domestic, and through her the poets explore the themes of motherhood, family and home. This collection resonates with the truth that it is hard to be the perfect mother, wife or family member; that love and guilt sometimes go hand in hand. Written with beauty, clarity and often humour, the poets have created a rich and enjoyable collection. The striking cover image, by Auckland artist Tracey Williams, heralds the playful and powerful poetry inside. 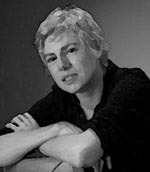 Jenny Powell (formerly Powell-Chalmers) has previously published four collections of poetry, including Double Jointed (Inkweed 2003), written with 10 other poets, which sought to create the quality of a duet in poetry. Jenny lives in Dunedin, where she works in a high school and teaches creative writing. Anna Jackson now lives in Wellington, where she lectures in English literature at Victoria University. Her collection The Pastoral Kitchen (AUP 2001) was short-listed for the poetry section of the Montana Book Awards in 2002. She was the Waikato University writing fellow in 2001.